For eons, scientists and philosophers have mused on the subject of why people sleep. We know that sleep is vital to our physical, emotional, and cognitive health, yet the neural mechanisms responsible for the restorative qualities of sleep have not been well understood. 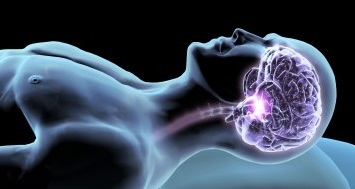 New research from the Center for Translational Neuromedicine at the University of Rochester Medical Center in New York suggest one answer to the mystery why we sleep? It turns out the brain performs its house cleaning while we catch our nightly zzz’s, clearing out metabolic waste products of neural activity. Another great reason for sleep! Watch the cleaning in action. Read more on BBC News.